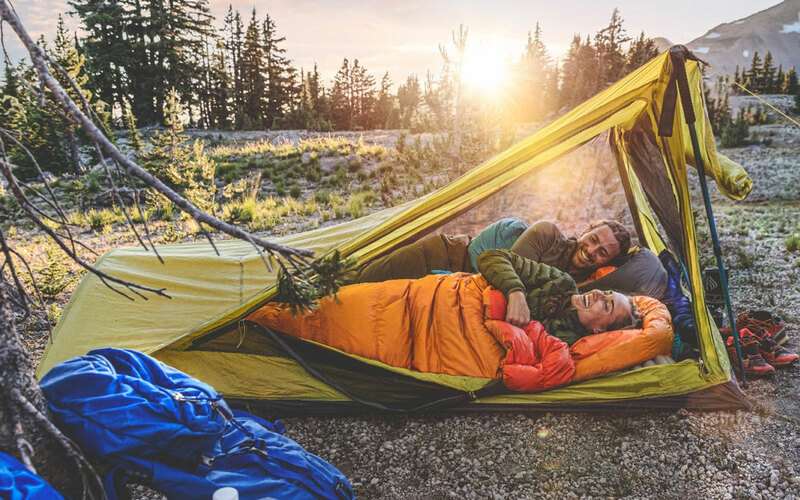 The Zenbivy Bed helps campers get the quality zzzzs they need with a Zenbevy of sleeping position and location options. 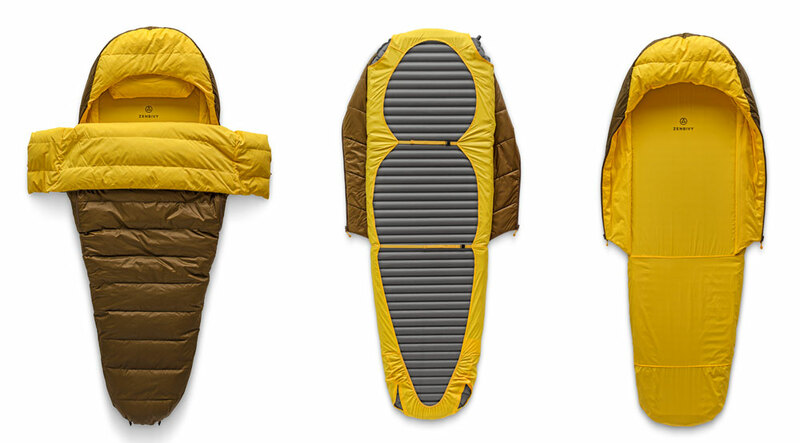 A freestyle, 2-piece sleeping bag, the Zenbivy Bed secures your favorite Therm-A-Rest or other camping pad inside its mummy-bag-style base, while a separate, oversized quilt zips on top. 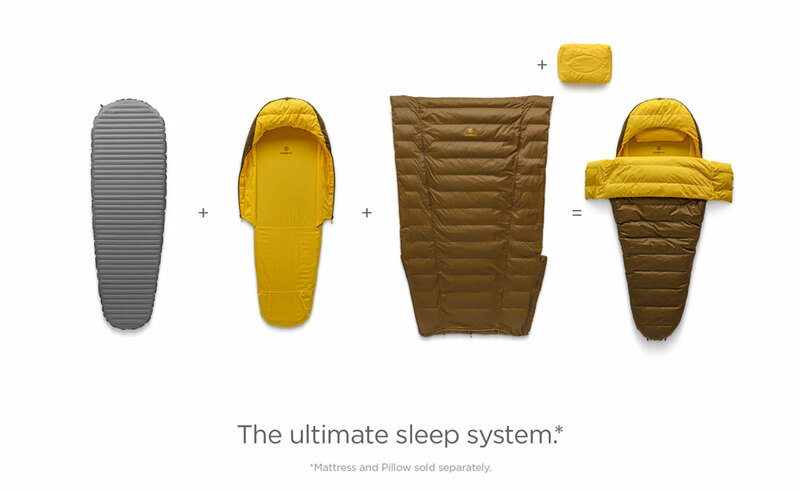 The result: a sleeping bag that never slides off its mattress, never gets twisted or traps you when you roll at night, and accommodates side, stomach, and back sleepers alike. 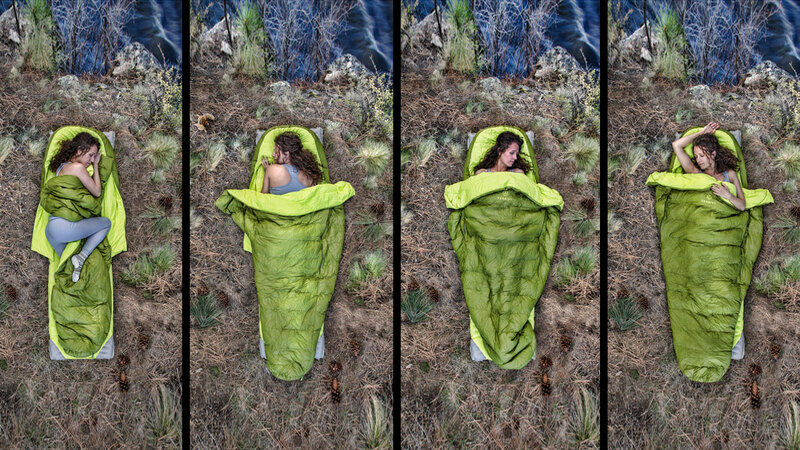 The Zenbivy Bed quilt is large enough to tuck in when it's cold, or untuck and spread wide for aeration, or sticking out an arm or leg, when it's warm. During winter camping trips, you can also snap, cinch, and zip up the bag's footbox, while in summer, unfurling them all will set your feet free without exposing parts you still want covered. The Zenbivy Bed is hammock and ground compatible, and comes in 3 different sizes. Bags are filled with 700 fill-power HyperDry fluorocarbon free water-resistant 85/15 duck down, comfort rated to 34 degrees F.
Muchas danke to Becca B. for the Dude Product Tip.